The media regulator Ofcom has just released its latest digital television figures for the UK, reporting an increase across the board in the percentage of households receiving digital TV, which now stands at 98%. Ofcom’s Digital Television Update report, published today, shows that a total of 25.1 million households in the UK now receive digital TV across all platforms, as of Q4 in 2012. This marks an increase of almost 5% from the year before. The report shows that digital terrestrial signal penetration has now reached 75% of all homes in the country by the end of last year, up 0.5% from the last quarter of 2011. Ofcom adds that in Q4, more than 54% of households were subscribed to some form of digital pay TV, a rise of 2% on the year before. However, pay satellite TV failed to see much of an increase, with just 37% of households subscribing to these services, which is more or less the same as the previous year. In addition, cable TV saw no increase in subscribers over the last year either – the proportion of households that do so remains at 13%. 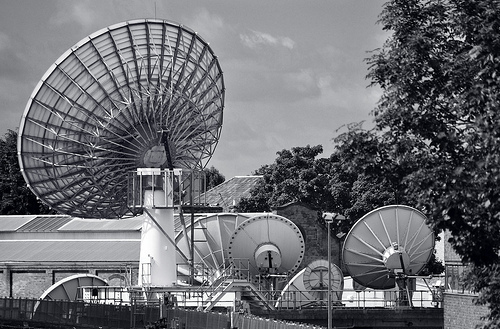 Aside from these traditional broadcast services, Ofcom reports that the UK is seeing growth in the number of multichannel TV platforms other than those provided by satellite, cable or terrestrial broadcasters. 3.4% of UK homes now enjoy such platforms, a rise of 1.4% from the year before. Altogether, an estimated 2.12 million households now enjoy free-to-view digital satellite TV services in the UK, compared to just 2.04 million in Q4 2011. Ofcom’s report also provides data on the specific platforms that households in the UK are viewing, and provides surprisingly good news for Freeview in particular. According to the report, Freeview has now been adopted by 18.5 million homes in the UK, of which more than 10 million use the service exclusively, without paying for additional satellite or cable TV services. Not surprisingly though, a large number of households have opted for more viewing options, with 8.8 million subscribing to both Freeview and one of either Sky or Virgin Media. More surprising perhaps, is that some half a million homes subscribe to both Sky and Virgin Media (not cheap! ), while 13,000 of those also receive Freeview as well. Ofcom said that its report takes into account the entire spectrum of digital TV services available in the UK today, including both multi-channel and platform share.